My wife is not (or has not been) a hiker. However, a couple of weeks ago she expressed interest in going on a hike. So I consulted Duck Duck Go looking for a suitable beginner hike with a decent payoff at the end. I'd say that view is a decent payoff. 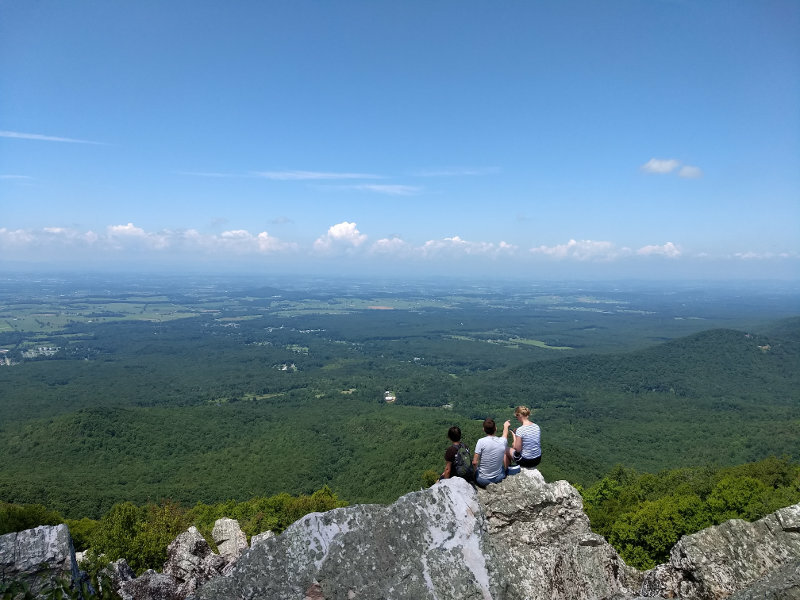 The Turk Mountain hike is a 2.2 mile out and back to the summit of Turk Mountain. 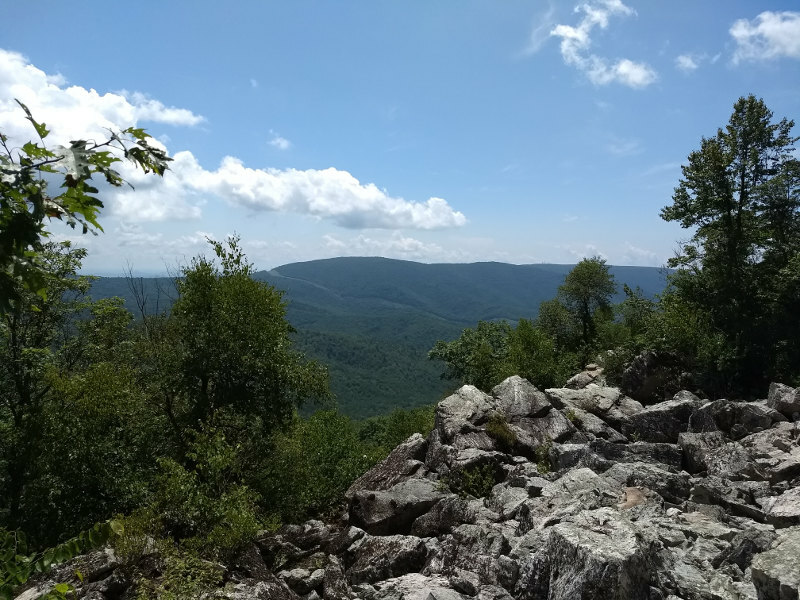 The trail head is about 10 miles from the southern end of Shenandoah National Park. The NPS site rates it as easy, the site linked above calls it moderate. I'd go with moderate, as it is 1 mile up on a rather rocky trail. The trail is well used and easy to follow. 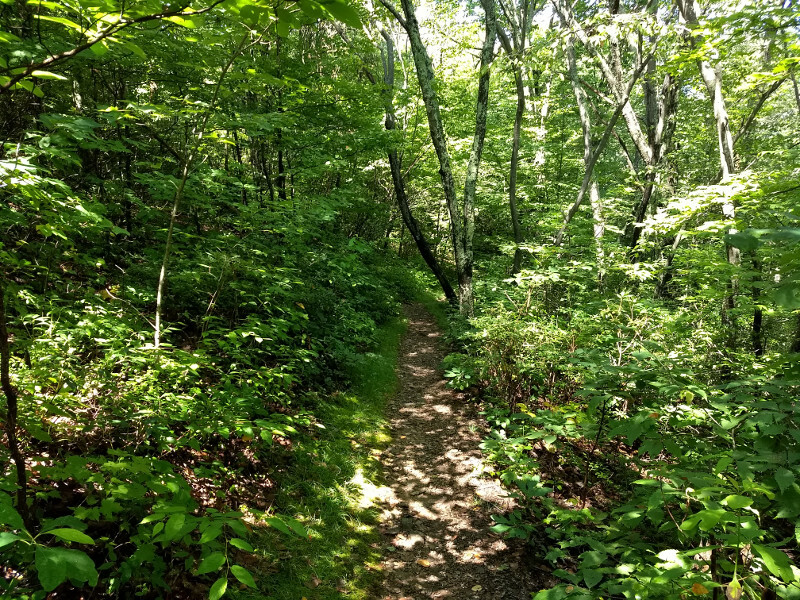 It's a great beginner hike or a hike with younger kids that can handle a 2-mile trek. This was our view for lunch. A PB&J always tastes better on top of a mountain. 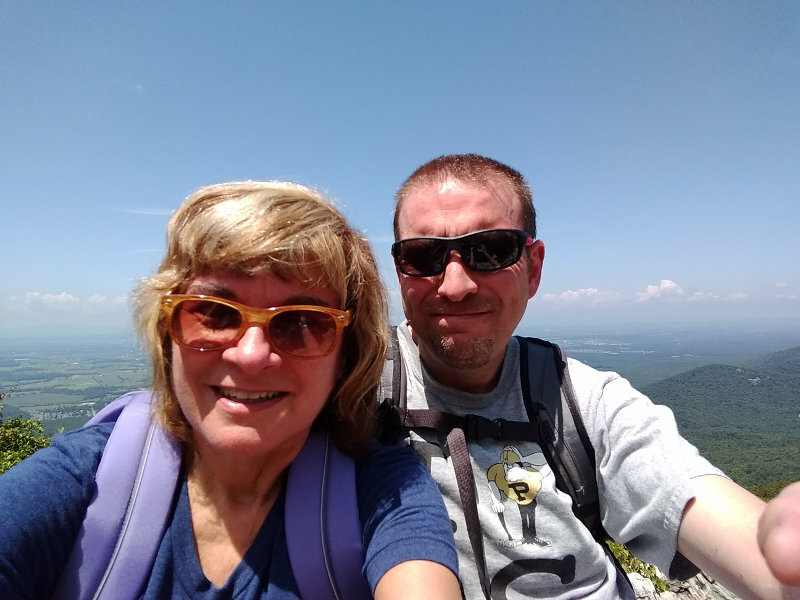 The rules of hiking require a selfie from the summit.